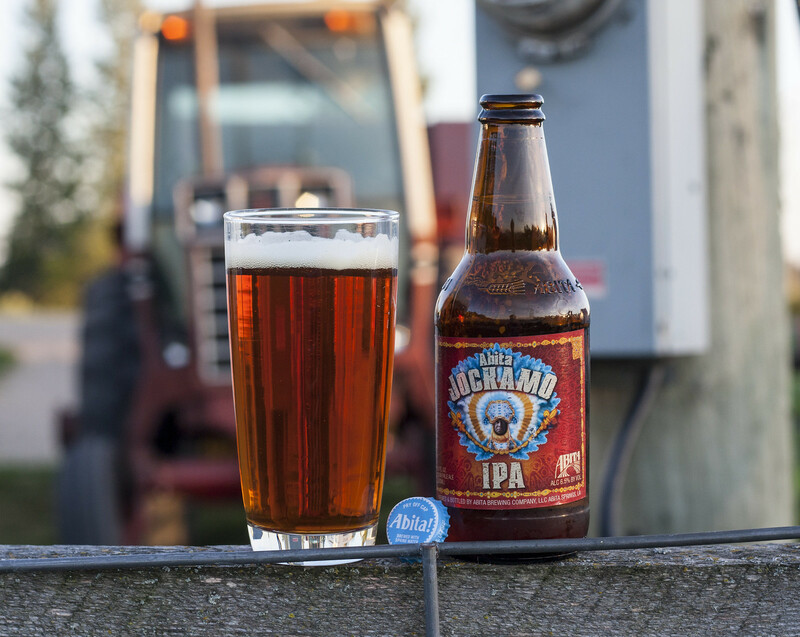 Review: Atiba Jockamo IPA, a photo by Cody La Bière on Flickr. During my recent trip to North Dakota, I picked up a bunch of beer for my reviews back up in Canada. I picked up a box of Abita Party Pack from Abita Brewing Company out of Abita Springs, Louisiana. This is going to be the first time I've ever reviewed a beer from Louisiana, and in the party pack, there are 6 different beers, and two of each bottle - so if the beers are bad, at least there's not many of each. The Abita Party Pack cost around $16.50 before taxes for a 12 pack (355mL bottles). Appearance: The Abita Jockamo has a really.. unique label with a guy wearing a traditional(?) head piece, not sure if it's a Native American head piece or something to do with Mardi Gras, or just for fun? The beer pours a very copper reddish amber, quite clear. Decent amount of beige foam lacing the top and not going down at all (and not too much of it like some IPAs). Aroma: A sweet malty and mildly hoppy India Pale Ale, lightly caramel sweetness, it uses Columbus hops, so that is likely why it doesn't seem as bitter as cascade and others as I'm used to, slightly earthy, not overpowering, slightly piney. Taste: The bitterness of the hops come out on top, but instead of the usual bitter wham, it's a bit of a creamy yet bitter wham. The bitterness of the hops quickly diminish and with that brings a bit of a sweet caramel taste with some pine. A bit of a tingling aftertaste from the hops in this beer. Not even near as strong in taste as most IPAs, could use an abundance of more hops, but certainly better than brews like Keith's.